Your smile is important to me. That’s why I became a dentist! My staff and I work hard to create a fun and friendly atmosphere at iSmile Dental Care so that you and your family will not only feel comfortable but will enjoy coming to see us. I trained as a Dentist in the Philippines where I became a Doctor of Dental Medicine through the University of the Philippines in 1996. After that, I completed a postgraduate residency program in Oral Surgery at the Philippine General Hospital. 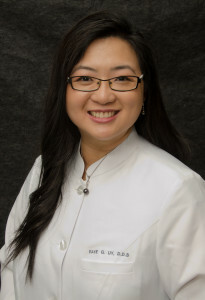 In 1998, I became a full time dentist with a private practice. In 2006, I moved to Southern California where I worked in both corporate and private dental settings. On August 8, 2010 I opened iSmile Dental Care in Lakewood. It was a very proud moment for me! Since that time, I have been privileged to serve this wonderful community. I am a big believer in minimally invasive dentistry and I strive to bring the very best dental care to my patients. This includes using state of the art technology and continually developing my skills and knowledge. I regularly attend dental seminars and workshops around the country to make sure I know what the latest developments are in the industry to serve my patients better. When I am not in the office I really enjoy cooking and spending time with my friends and family. My team and I look forward to seeing you and brightening your smile soon!